At Contemporary Heaven we have a huge selection of photo frames and wall frames in a wide choice of designs and styles to hold a single photo or print, or frames that can hold multiple photos of all the family, family pets, holiday scenes, or anything else that takes your fancy. Some of these can be customised as well, so you can add a message to the frame. Our personalised poster wall frames are great for displaying posters rather than family portraits. More and more people today are adding photos and pictures to their walls as a means of decoration rather than sitting looking at a blank canvas which, if you rent your home, is almost certain to be magnolia. It's not white, but it is not really much of a colour either and doesn't make a statement. It is a "safe" colour which nobody is going to be upset about, which is why landlords use it so often. However, many people find magnolia drab and uninspiring for the simple reason that you see it everywhere, and rather than sitting looking at an expanse of just off-white they decide to brighten up their lives and their walls with photographs and paintings. And why not? It breaks up the expanse of wall and gives you something pleasant to look at instead. 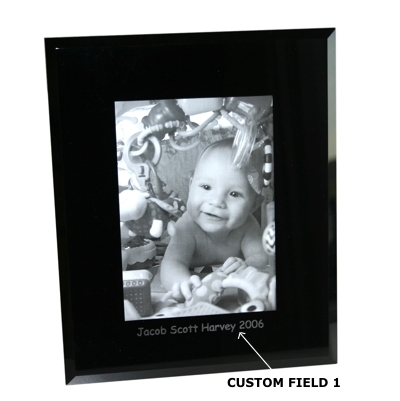 With our range of photo frames, you can choose from multi photo frames that can display two photos or as many as 40! They are available in modern, contemporary, classic, and vintage designs, and a range of different sizes, finishes, and colours, so there is bound to be something which you spot and think "Ah. Just the job". Many of the frames that we have which will inspire you are by Balvi and Umbra, two very well-known names in modern design. These photo wall frames are not expensive either. We have many for under a tenner, and even the most expensive don't run to more than £40 and when you see all the choices and designs you will wonder how we manage to offer them for so little. However, the simple fact is that we do. So cheer up that drab expanse of blank wall and add some of our stunning frames to it. We have them in wood, and in glass, as well as a choice of many other materials. Just take a look and see for yourself.